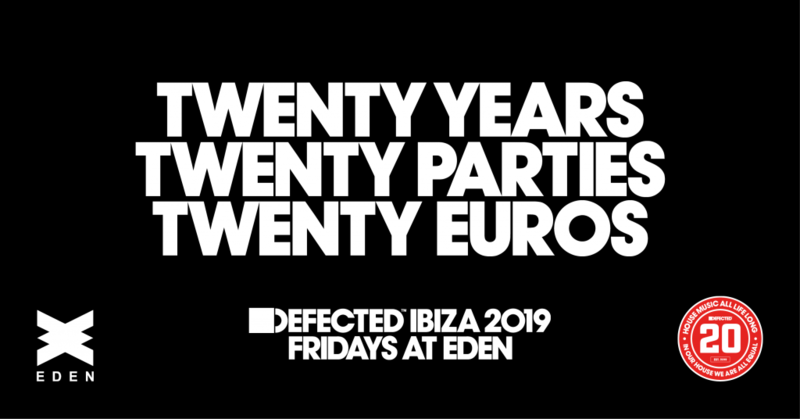 In what appears to be a year of change for Ibiza, Defected has announced the residency will be moving from Sundays to Fridays at Eden, San Antonio. Sticking to the core weekend period when the majority of clubbers flood the party mecca, it will be business as usual for Defected nights following the switch, building on the success of the two previous seasons at the club. After a 2018 Ibiza season that saw Defected stride ahead of the competition in San Antonio, the world leader in house music returns to Eden for its third annual residency at the forward-thinking club. The night had up to 80% increase on attendancefrom the previous year in 2018, going back to basics to demonstrate how house nights in Ibiza should be. Affordable, accessible and with equal space for international headliners as underground heroes, Defected at Eden continues to be San Antonio’s success story. 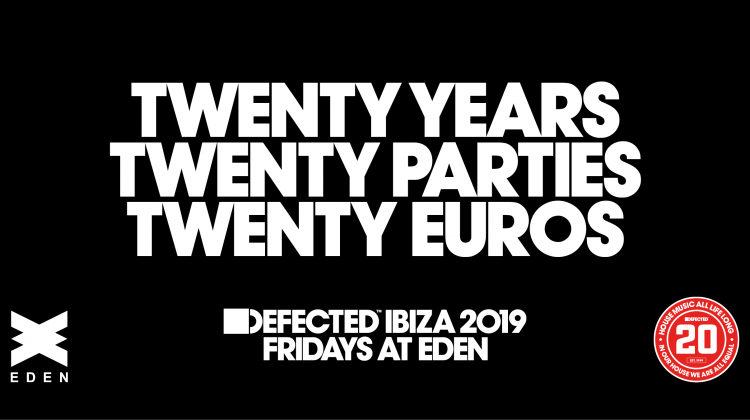 Established in 1999, Defected marks 20 years of music in 2019.To celebrate, advance tickets for all twenty Defected Ibiza 2019 events are available online now for €20. Under the slogan HOUSE MUSIC ALL LIFE LONG, Defected invites clubbers around the world to a year of events to celebrate everything there is to love about house music, sharing its values of inclusivity, togetherness and escapism on the dancefloor.